Choosing the right platinum thermometer as your primary standard may be the most critical purchase decision in your lab. Unfortunately, other manufacturers are pretty secretive about how their SPRTs are made. They won’t tell you much more than you can already see by looking at one. Long-term reputation used to be a reliable indicator, but the leaders of a few decades ago have lost their original craftsmen and design scientists. There are only a few active SPRT design groups in the world today. So how do you know you’re making the best purchase? Self-proclaimed expertise shouldn’t convince you. You should expect some sound evidence that the company is qualified in the ongoing science of SPRT development. At Fluke Calibration we’ll tell you how we make an SPRT. We’ll let you talk to the people here who design, build, and calibrate SPRTs. Finally, when you buy one, if you don’t like it, we’ll take it back and return your money. 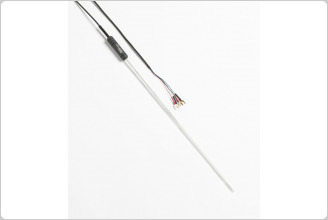 Fluke Calibration has four quartz-sheath SPRTs covering the ITS-90 range of –200 °C to 1070 °C. 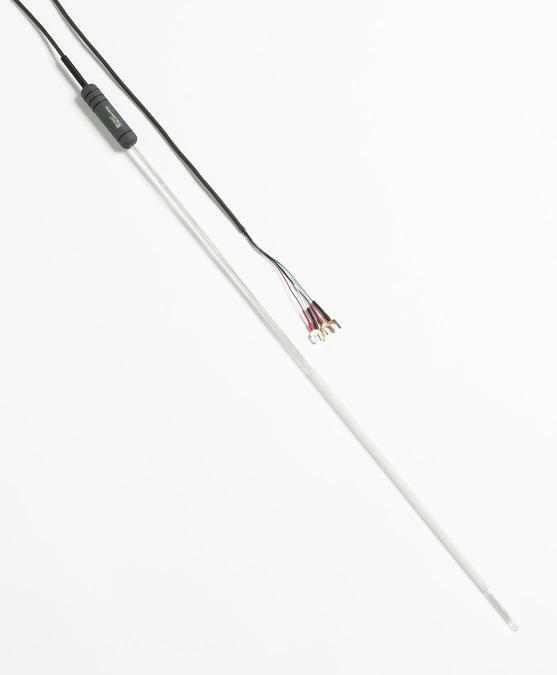 The 5681 is used from –200 °C to the aluminum point at 660.323 °C. 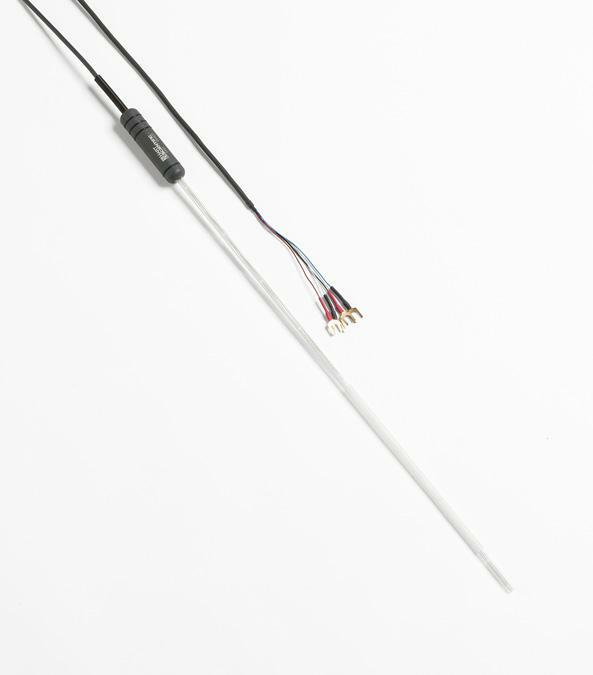 The 5683 is used from –200 °C to 480 °C with greater long term stability. The 5684 and the 5685 cover higher temperatures up to 1070 °C and can be calibrated at the silver point. Yes, they have all the features you would expect in a world-class SPRT. They have gold-plated spade lugs, a strain-relieved connection to the four-wire cable, convection prevention disks, the finest quartz glass available, delustered stems, and the purest platinum wire available. 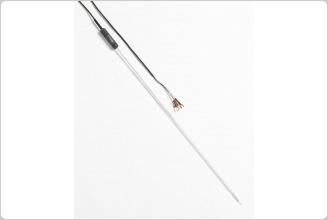 The purity of a thermometer’s platinum wire is critical to meeting ITS-90 requirements. Maintaining that purity over the life of the thermometer impacts long-term stability. The quartz glass tube of the SPRT should be properly sealed to prevent contamination of the platinum sensor. Others use mechanical assemblies and epoxy seals. These introduce additional materials to the thermometer’s internal environment and can be prone to mechanical failure, risking exposure of the platinum to impurities. Theoretically, the best seal would be a direct seal between the quartz glass and the platinum wire. However, the quartz glass used in thermometer sheaths has a very small coefficient of expansion while platinum has a much larger coefficient of expansion. If you simply sealed the sheath’s glass to the platinum wire, these different rates of expansion would result in a poor seal as the assembly is exposed to changing temperatures. We’ve figured out a way to match the expansion coefficients of the glass sheath and the platinum wires. We do it by creating a graduating seal that’s made of 18 separate pieces of glass, each with a different coefficient of expansion. The expansion and contraction rate of the final piece of glass matches that of the platinum, resulting in an overall seal that prevents gas leakage and impurity penetration for at least 20 years. Fusing each piece of glass to the next is a painstaking process. Sure it costs us extra! But the results are worth it. There’s more! We use only pure quartz glass materials for the cross frames, disks, and tubes. We don’t use mica or ceramic materials. We have a special glass-treating process to increase the resistance of the quartz to devitrification and remove more impurities than the typical cleaning process. We’ve done some research to find the best-performing balance of argon to oxygen in the tube. Some oxygen in the sheath is necessary to minimize the danger of the platinum being poisoned by foreign metals at high temperatures, but too much oxygen at temperatures below 500 °C accelerates the oxidation process affecting the integrity of the platinum. We’ve got a balance that provides exactly the right protection for the platinum. Each of these seemingly small things adds up to better uncertainties and less drift. Fluke Calibration's SPRTs typically drift less than 0.001 °C per year. While SPRTs traditionally cover temperatures to the aluminum point (660 °C), most measurements occur between –100 °C and 420 °C. The 5683 SPRT covers this range and more, from –200 °C to 480 °C, and does so with long-term stabilities that extended range SPRTs can’t match. Typical drift is less than 0.5 mK after 100 hours at 480 °C. †The official maximum temperature of an SPRT as a defining interpolation instrument of the ITS-90 is 961.78 °C, but these types of SPRTs were found to be stable up to at least 1070 °C. The annealing temperature during the stability test was 1085 °C. The lower temperature limit of these types of SPRTs can be as low as –200 °C. In general, it is suggested that a 25-ohm SPRT be used below 0 °C.